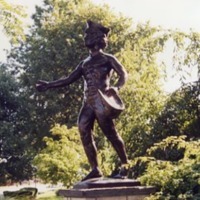 A photograph of a statue of Johnny Appleseed on a pedestal surrounded by green shrubbery and trees. Picture was taken from side of statute. 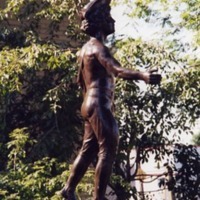 A photograph of a statue of Johnny Appleseed on a pedestal surrounded by green shrubbery and trees.